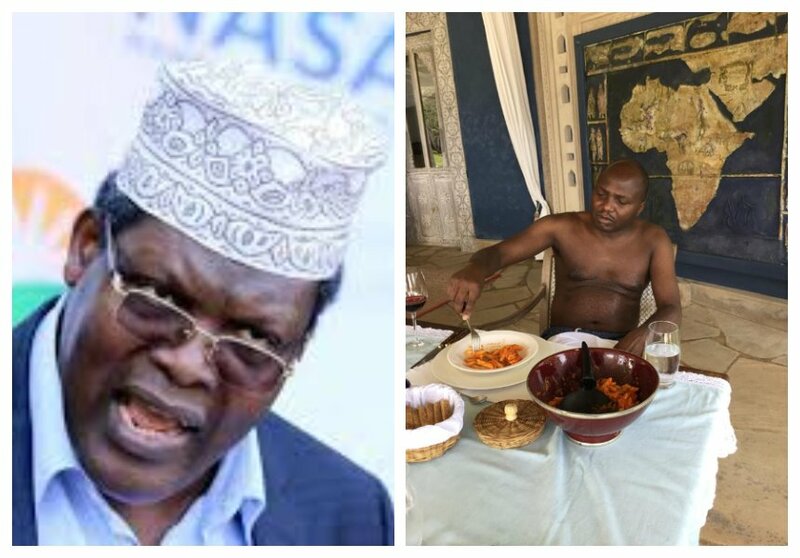 Miguna Miguna was not spared by flamboyant lawyer Donald Kipkorir when he attacked him. Most people usually choose to ignore Miguna but Kipkorir went HAM on him. 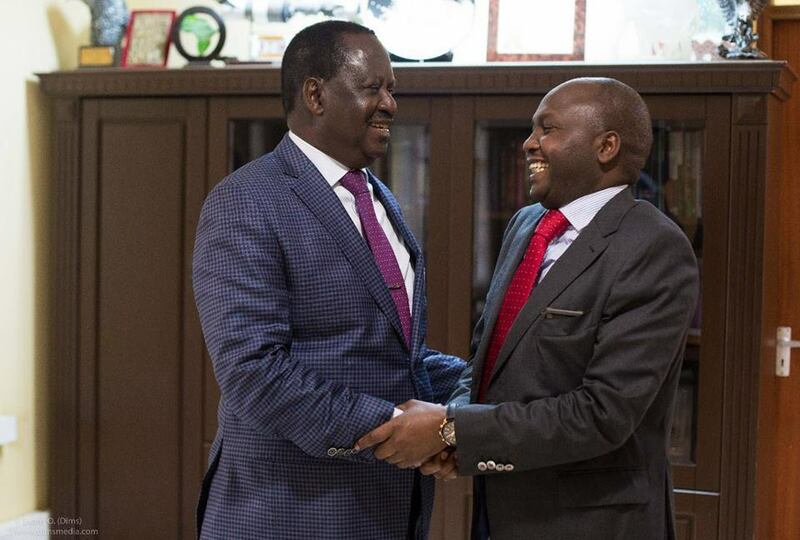 The whole drama started after Kipkorir met Raila Odinga. A jealous Miguna described the meeting as a gathering of a traitor (Raila Odinga) and unscrupulous Jubilee chauvinist (Donald Kipkorir). A chauvinistic @JubileePartyK buccaneer meeting a traitor: nothing refreshing. 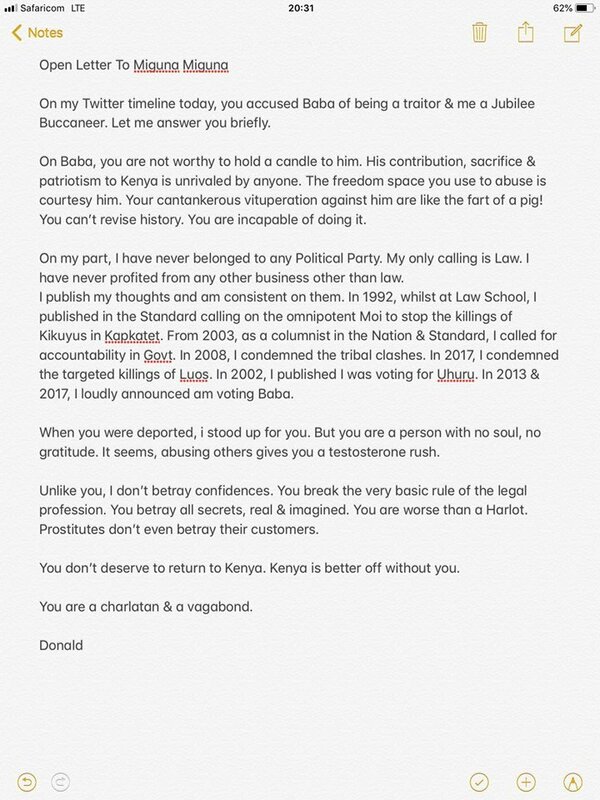 Donald Kipkorir responded to Miguna Miguna’s gibe in an open letter. The flamboyant lawyer said Miguna is a soulless person who doesn’t deserve to return to Kenya. “When you were deported, i stood up for you. But you are a person with no soul, no gratitude. It seems, abusing others gives you a testosterone rush. Unlike you, I don’t betray confidences. You break the very basic rule of the legal profession. You betray all secrets, real and imagined. You are worse than a Harlot. Prostitutes don’t even betray their customers. You don’t deserve to return to Kenya. Kenya is better off without you,” wrote Kipkorir in part.